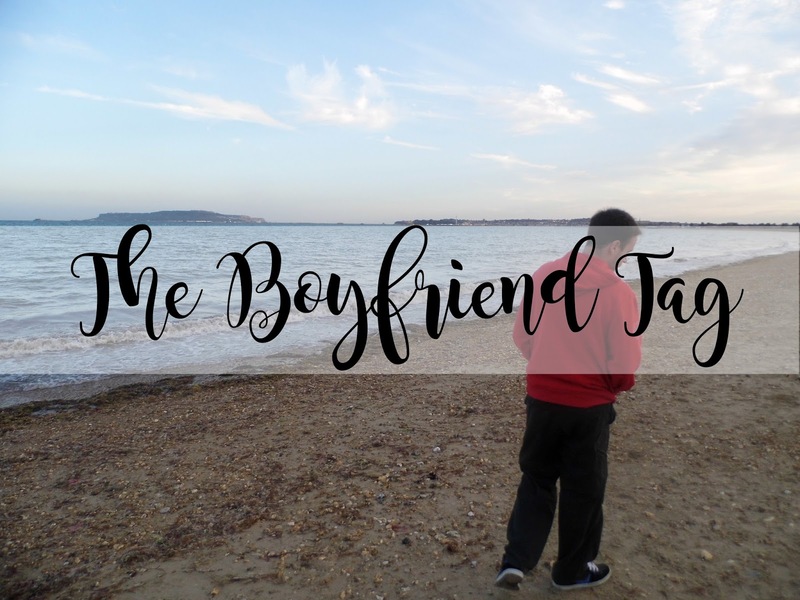 So after finally telling my boyfriend about my blog, I though this would be the perfect opportunity to ask him a bunch of questions as part of the boyfriend tag! He was very open to doing this and to be honest, I was so shocked with every answer he gave, because they were all spot on! All of the questions below were what I asked him and all of the answers were what he gave me! I highly suggested anyone doing this tag if they have a boyfriend as it's a great way of testing their knowledge on how well they know you! 1.She’s sitting in front of the tv what is on the screen? 2. You’re out to eat, what kind of dressing does she get on her salad? 3. Whats one food she doesn’t like? 4. You go out to eat and have a drink what does she order? 5. What size shoe does she wear? 6. If she was collecting anything what would it be? 7. What is her favourite type of sandwich? 8. What would this person eat everyday if she could? Pizza, this was such an obvious one! 9. What is her favourite cereal? He said cornflakes but to be honest, I don't really have a favourite. 10. Whats her favourite music? HipHop, R&B, anything new, anything old, anything! 11. Whats her favourite sports team? 12. Whats her eye colour? 13. Who’s her best friend? The best answer ever "Me"
14. What is something you do that she wishes you wouldn’t? 15. Where was she born? 16. You bake her a cake for her birthday what kind of cake is it? Anything with lots of chocolate! 17. Does/did she play any sports ? Running, Netball, High Jump, Basketball, Hand ball and bench ball! 18. What could she spend hours doing? 19. What is one unique talent she has? Does your boyfriend no everything about you? I'll see you very soon!